512MB 200pin SODIMM for Xerox. Parts-Quick Equivalent to Xerox Part Number 097S03382. BEWARE! DO NOT BUY FROM OTHER VENDORS WHO CLAIM THEY ARE SELLING PARTS-QUICK BRAND. OUR WARRANTY IS ONLY FOR ITEMS PURCHASED DIRECTLY FROM PARTS-QUICK. ALL PRODUCTS BRANDED AS PARTS-QUICK ARE TO BE SOLD SOLELY BY PARTS-QUICK. 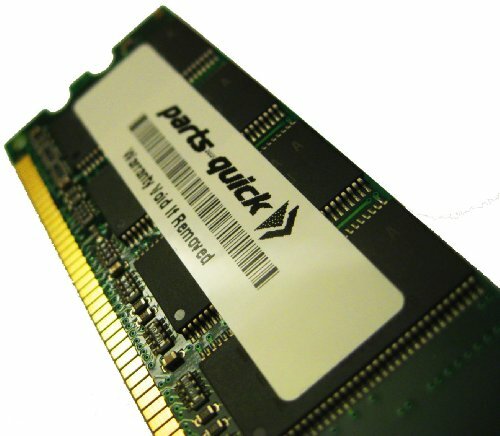 PARTS-QUICK DOES NOT AUTHORIZE THE USE OF IT'S BRANDED PRODUCTS TO OTHER SELLERS. . Compatible with: Xerox Phaser 6360N, 6360DN, 6360DT, 6360DX, 8560DT, 8560DX, 8560N, 8560DX, 8560N, 8560DN, 8560MFP, 8560MFP/D, 8560MFP/N, 8560MFP/T, 8860DN, 8860MFP/D.